The first commitment period of the Kyoto Protocol (KP), which began January 1, 2008, ends in December this year. The second period would be to start in 2013. However, no common position has been reached yet till now at international climate negotiations, and the final decision on the fate of the second commitment period of the Kyoto Protocol will be made at the UN summit in Qatar in December this year. In the meantime, Russia, like most countries with largest CO2 emissions, does not want to make commitments for the next KP period, but calls to transfer unused quotas for the period after 2012. According to UN estimates, 30.8 billion tons of carbon dioxide and other greenhouse gases were released worldwide last year. In 2008-2012, the system of trading has already pumped through $ 450 billion. According to experts, this system rather allows one to make money than to modernize production. From the very start, this system did not provide solutions to environmental problems, but just postponed them to the future and served as a weak incentive for developing countries to build eco-friendly technologies. According to an independent study by Thomson Reuters Point Carbon (http://www.cdm-watch.org/wordpress/wp-content/uploads/2012/09/AAU-bankin...), transfer of surplus of assigned amount units (AAUs) ("hot air") can have significant negative consequences in the long term. The study evaluates the excess quotas from the first commitment period of the Kyoto Protocol at 13.1 billion tons of CO2. More than half of this amount belongs to Russia (5.9 bln) and Ukraine (2.6 billion). They are followed by Poland (0.8 billion), Romania (0.7 billion), the UK (0.5 billion) and Germany (0.5 billion). The total number of surplus AAUs exceeds the estimated demand by three orders of magnitude. The study also shows that, in the period of 2013-2020, the countries can accumulate surplus quotas of 3.6 billion tons of CO2. According to the authors, the developed countries have relatively weak emission targets. 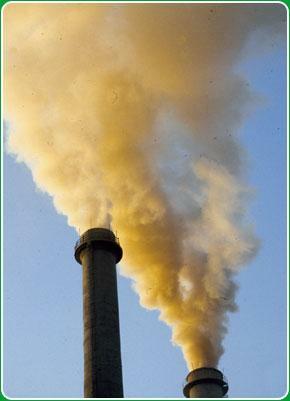 As a result, by 2020, the excess of quotas for greenhouse gas emissions can reach more than 17 billion tons. This astronomical figure threatens the viability of any future climate agreement. At the talks in Bangkok, the Group of 77 (G-77) proposed a solution to the difficult question of the "hot air" transfer. According to the proposal, all the excess "hot air" will be canceled at the end of the second commitment period of the Kyoto Protocol (2017 or 2020). Although the proposal implies that there will be a full transfer of emission quotas from the first KP commitment period to the second one, trading them is prohibited. Countries can use them for internal purposes only. Because of the urgency of the matter, most countries support the G-77 proposal. The wish of the Russian authorities to transfer the excess quotas without a renewed commitment does not meet understanding of Russian business. Reuters reports (http://www.theage.com.au/environment/climate-change/russia-to-halt-emiss...) that a number of Russian industrial and energy companies, including Rusal and TNK-BP plans to lobby the government for its participation in the KP. According to the agency, the Russian business is not driven by environmental aspirations, but by the desire to continue to receive funds under the scheme of Joint Implementation (JI) projects. Even if it is true, in any case, JI mechanisms provide real emission reductions and reduced carbon intensity of the Russian economy. According to various experts, one of the best options that can affect the solution to climate change challenges may be the formation of a transparent global carbon market and the development of national systems and incentives to reduce emissions.